Our parish is blessed with a helpful, competent and dedicated staff. The size of the staff and those in it have grown as the parish has grown. However, this staff cannot function effectively without our help. We need parishioners who can volunteer to help with Administration/Office Work, Desktop Publishing, Bulk Mail/Handout Preparation and Building & Grounds Maintenance. If you can help, please volunteer for this parish ministry. Click here for Fr. MacNeil's bio. Deacon Steve was born in Mt. Pleasant PA and moved permanently to Pawleys Island in October, 2012. He earned a Bachelor’s of Arts degree in Biology from Saint Vincent College in Latrobe PA, and a PhD in Medical Microbiology/Immunology from West Virginia University in Morgantown WV. He retired from a nearly 30-year career investigating the immunology of occupational lung disease in agriculture and pursuing science administration. 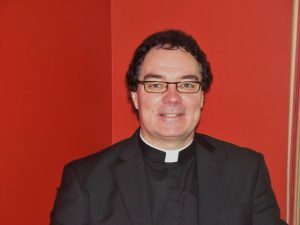 In 2000, he began seminary formation through Saint Meinrad Seminary and was ordained a permanent deacon in October 2004. Deacon Steve and his wife, Marcia, raised three sons: Stephen Jr. of Bethlehem PA; Thomas of Arnold MD; and Benjamin of Natick MA. Deacon Steve and Marcia, along with his mother, Virginia, reside in North Litchfield Beach. Ellen is originally from Clark NJ and moved to SC in 1994. 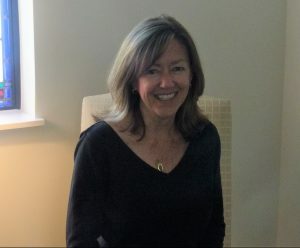 She graduated from Providence College with a bachelor’s degree in Social Work and has worked for the past eleven years with the South Carolina Department of Social Services in Child Protective Services. Ellen joined the staff of Precious Blood in as parish secretary. She now is now in the position of Parish Coordinator. She lives in Pawleys Retreat with her husband Scott and two children Patrick & Emma. Patty Guazzo was born and raised in Bayonne, New Jersey, and later moved to Denville, New Jersey after she married her husband Allan. She worked for AT&T until Allan’s job relocated them to Bowling Green, Kentucky…then to Hudson, Ohio…then to Delafield, Wisconsin…then to Clarks Summit, Pennsylvania. While in Wisconsin, Patty worked as a parish secretary for St. Paul’s Parish in Genesee Depot. In Pennsylvania, she was secretary to the Director of the Fatima Renewal Center, a retreat center run by the Diocese of Scranton. After vacationing in the Myrtle Beach area, Patty & Allan decided to move away from the snowy north and settle in South Carolina. 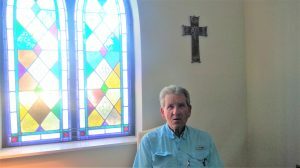 They moved to Murrells Inlet in May 2007, and in July Patty was hired as parish secretary for Precious Blood. Maureen is originally from Youngstown, Ohio where she graduated from Ursuline High School. She went on to receive her BS in Psychology from Southern Methodist University and MS in Education from Youngstown State University. 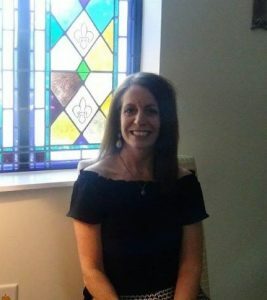 Prior to working at Precious Blood, Maureen was employed as the Director of Children’s Counseling Services at Waccamaw Center for Mental Health in Myrtle Beach and Director of Counseling at Horry Georgetown Technical College. She has volunteered in the parish as Co-chair of the Prayer and Worship committee and a religious education teacher. She lives in the River Club with her husband Dana and children Tommy and Annie. 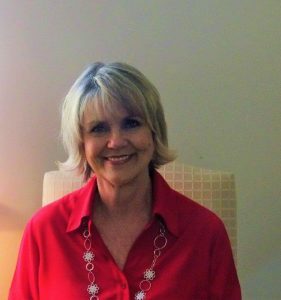 Elizabeth was born and raised in Rock Hill, South Carolina. She received her Bachelors of Science from Winthrop University in May 2015 with a degree in Family and Consumer Science and a Concentration in Adolescent Studies. 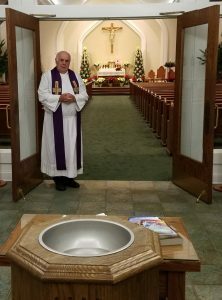 In Rock Hill, Elizabeth attended St. Anne Catholic Church with her parents; William, who passed in 2011, and Elena, who serves as the DRE at St. Anne. She has three sisters, Julie, Mary, and Michelle. 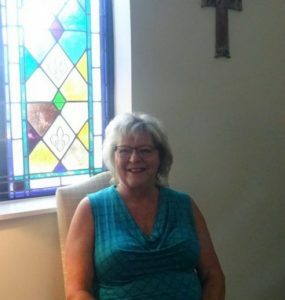 From 2006 to 2009 Elizabeth served as a Catechist to the 2nd grade and served in helping them prepare for First Reconciliation and First Holy Communion. Elizabeth then felt a call to work with the youth in her parish. She served as an active youth group volunteer at St. Anne Catholic Church beginning in 2009. In 2014 she underwent her internship with St. Anne’s Youth Minister. 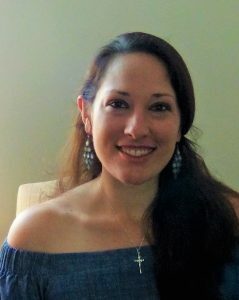 Elizabeth also worked at St. Anne Catholic School as a Teacher’s Assistant and Religion Teacher from 2011 to 2013 for the 4th and 5th grades. In September 2015 Elizabeth accepted the opportunity to work at Precious Blood of Christ as the Director of Youth Ministry. Michael was born in Baltimore, MD but grew up in the Pawleys area when his family moved to SC in 1969. Upon receiving a marketing degree from The University of South Carolina, Michael began a 20-year career in sales primarily in the packaging industry including 12 years as a regional sales manager for a plastic packaging manufacturer residing in Atlanta, GA. Michael returned to SC with his wife Cindy and daughter Madeline in 2003 and currently lives in North Litchfield Beach. Michael joined the staff of Precious Blood in 2012 as the Events Coordinator and moved into the Book Keeper Position July of 2015.